COLUMBIA, Mo 11/16/15 (Beat Byte) -- "I’m thinking about going on a hunger strike until Mike Matthes, the city manager...resigns." But that Trib Talker might starve to death before Matthes steps down. Notorious for lying to the public about infrastructure; backing failed proposals such as Blight; and breaking city law to approve a massive breakout of student apartments, the Columbia city manager is up for a big pay raise! 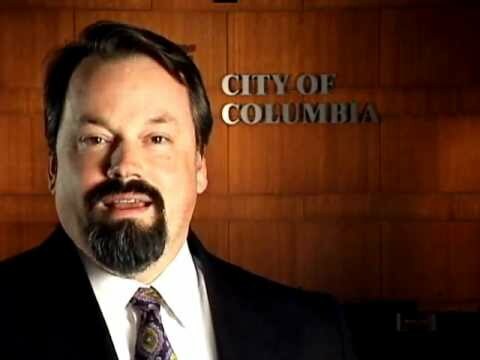 Columbia City Council members will consider "an amendment to the City Manager's Employment Agreement" that would bump his annual salary a whopping 10% or $15,000, while he routinely claims City Hall is broke. Under the new agreement, Matthes' base pay will rise from $150,000 to $165,000 annually. In a controversial 2012 move, Council members doubled his severance package. The Council-Matthes Bromance has been ongoing since he took office in 2011. In four short years, Columbia has become the highest cost of living city in Missouri, with Matthes raising every type of city revenue, from parking fines and fees to utility rates. At the same time, he declared City Hall too broke to afford more police officers or adequate sewer infrastructure; and in such dire straits, a fire station in central Columbia could only remain open if it was understaffed. His lying, illegal tactics, and handling of administrative tasks such as the firing of popular Columbia public safety official Zim Schwartze have become textbook examples of how not to run a city. "Until the city of Columbia finds money to upgrade electric, sewer and other infrastructure, there can be no more development downtown," Matthes told the Columbia Daily Tribune in 2013. "The pace of development in the area has outstripped the electric and sewer capacity, which is 100 percent utilized." Since then, the Odle family tore down Shakespeares Pizza, Opus towers six stories over downtown, and developers have constructed thousands more student apartments. Schwartze, meanwhile, is suing City Hall for wrongful termination. The pay hike -- which other public and private employees only dream of enjoying -- follows the city manager's performance evaluation, which has not been released. Backing the big bucks: Mayor Bob McDavid, leaving office in April. "The Mayor requested, on behalf of the Council, an amendment to the Agreement that would increase the annual base salary to $165,000.00," the proposed pay package reads. Council members will introduce the pay hike Monday night, with debate scheduled for subsequent meetings. You are here: Home City Hall Staff Shenanigans MATTHES MADNESS! Umpteen lies and schemes later, CoMo city manager up for big raise!